View More In Houseware & Dining. Christophe Pourny learned the art of furniture restoration in his father’s atelier in the South of France. 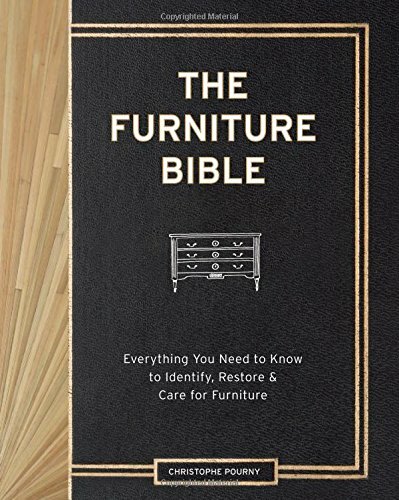 In this, his first book, he teaches readers everything they need to know about the provenance and history of furniture, as well as how to restore, update, and care for their furniture―from antiques to midcentury pieces, family heirlooms or funky flea-market finds. The heart of the book is an overview of Pourny’s favorite techniques―ceruse, vernis anglais,and water gilding, among many others―with full-color step-by-step photographs to ensure that readers can easily replicate each refinishing technique at home. Pourny brings these techniques to life with a chapter devoted to real-world refinishing projects, from a veneered table to an ebonized desk, a gilt frame to a painted northern European hutch. Rounding out this comprehensive guide is care and maintenance information, including how to properly clean leather, polish hardware, fix a broken leg, and replace felt pads, as well as recipes to make your own wax, shellac, varnish, stain, and more.